Technically advanced bar code image generator application designs bar code labels, tags, stickers, coupons, holograms, badges etc in cost effective manners and facilitates users to create own style of bar code sticker images in few simple steps. Bar code label maker software is perfect utility to efficiently track all business products details and saves them and allows users to view at any time. Inventory control bar code image creator utility is useful for retails business and companies to manage stock details, price, marking manufacturer name, weight of product, consumption forecasting, asset management and others in convenient manner. Retail industry bar code sticker image creator application facilitates you with enhanced series creating options including sequential series, constant value series and random series list generating methodology to design high resolution and striking bar code coupons useful for inventory control. Extraordinary features: * Powerful bar code label maker software is easy and simple to use and produce best quality bar code sticker images for retail industry in efficient manner. * GUI interface offer users to easily work with bar code image creator software without taking any special guidance or training for executing application. * Professional bar code sticker image creating software for inventory control and retail industry that frequently works with linear and two dimensional bar code font standards. * Bar code sticker image generating application designs elegant and flexible bar code labels, stickers, tags, coupons, rolls, library cards, holograms etc in minimum span of time. 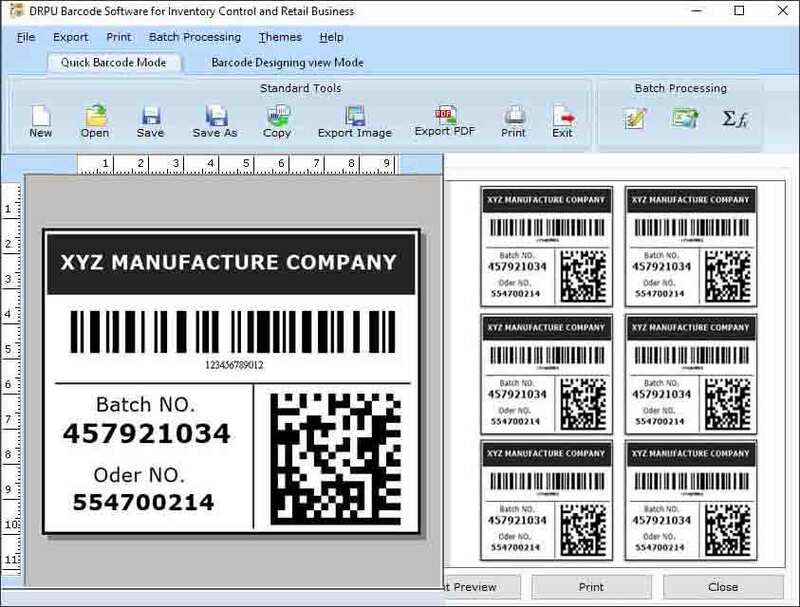 * Specialized bar code creator software offers highly developed feature to simply copy designed bar code labels and paste them at particular windows application including MS-word, excel, paint etc.